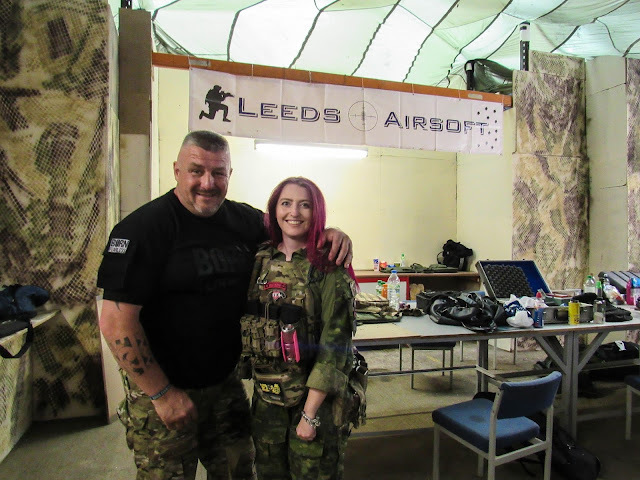 On the 20th May 2017 I attended Leeds Airsoft: The Foundry CQB’s opening weekend and was lucky enough to spend time with and interview one of the most well-known former Special Forces soldiers of our time – Big Phil Campion. A former D Squadron 22 SAS trooper who is a veteran of Military and Private Contractor operations in almost every conflict zone on Earth. I’ll start by saying that Phil is exactly how you would imagine him to be and certainly lives up to his name – he is a tower of intimidating strength and has fists the size of sledgehammers, all topped off by a huge smile and a heavy London accent. Phil joined the Army at age 17, which he describes as the greatest turning point in his life. He quickly fell in love with the Armed Forces and his new found career. He was cap badged as a Royal Hampshire, where he took on the All Arms Commando course with the Royal Marines and the rigorous P Company course. He spent 10 years in the regular Army before deciding he wanted to move into the big leagues and take a crack at the infamous SAS selection – he passed first time and joined the prestigious D Squadron, 22 SAS. 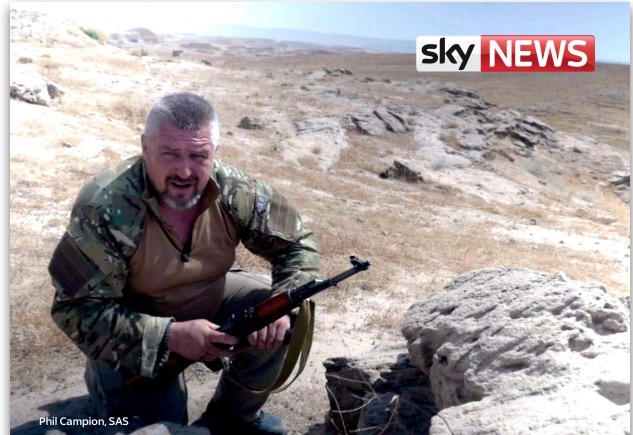 Phil spent 5 years with the SAS deploying to Operations in conflict-prone areas before moving on to the world of Private Military Contractors. From Afghanistan, Iraq, Israel and Gaza to the gold mines of the west to the oil fields of Sudan and the pirate waters of Goa and the Indian Ocean, Phil has been around the world and then some. 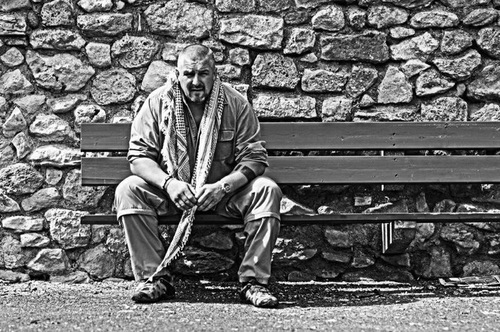 He now spends his time writing books such as his best seller: ‘Born Fearless: From Kids’ Home to SAS to Pirate Hunter – My Life as a Shadow Warrior’ which is the explosive story of a former SAS vet turned gun for hire, presenting TV shows/documentaries including ‘Fighting IS: Big Phils War’ on Sky and after dinner speaking. FF: Hi Phil, well firstly, thank you for taking the time to speak to me! I just wanted to ask you a few questions about your time in the SAS and your career. Can you tell us a little bit about yourself? Big Phil: Of course, I joined the Army when I was about 18 years old, spent 10 years with the regular Army and then went Special Forces and served with the 22 SAS. I spent about 5 years with them and was lucky enough to go on quite a few operations, Op Barras was one of them. I then got out and went straight to Afghanistan for 3 years with private work, from there I went to Iraq – more private work and I then started branching out into Africa, the Gaza strip. All over. So anywhere there was trouble, I was headed. FF: You’ve done the block! Big Phil: Yeah, all the anti-piracy stuff, training jobs all over Africa. 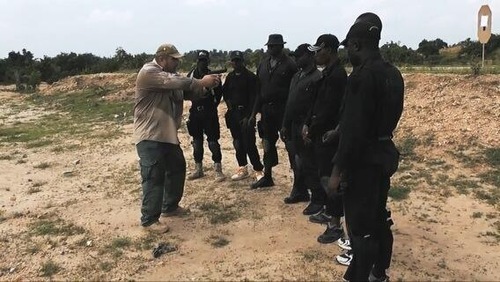 I trained the Nigerian President’s body guard team. I’ve trained the Fata who were opposed to Hamas, they got slaughtered and I went back in to train Hamas *both laugh* I’ve done it both ways. FF: One burning question civilians usually have is how hard is selection? Is it one of the hardest things you’ve done in your life? Big Phil: No, no, staying alive is the hardest thing I’ve ever done, and that’s every day. Once you pass selection things do get harder. Just because you’ve passed selection, doesn’t suddenly mean you’re bullet proof. Operations are designed to kill and of course you want to come home. Life becomes a lot harder and you have to keep your standards up at all times. 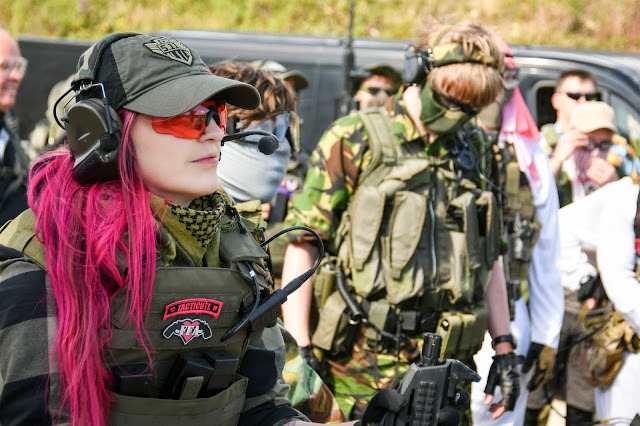 FF: Let’s get to airsoft, so do you play? And do you enjoy it? Big Phil: Yeah, yeah, I think it’s great. I don’t so much do the games – I understand them, but where the airsoft is good for me is bringing people’s skill sets up. I give them the skills to get into the game and get more from it. If you do things properly you’ll get a lot more from the game than what you will just charging around. FF: Do you train people with airsoft weapons? If so what do you run? Big Phil: The Military have done airsoft so it’s not completely unheard of, I haven’t done it with the Brit Army but I’ve done it with a lot of body guards. If I’m training bodyguards and stuff in this country, it’s easier to get their skills up to speed with airsoft weapons, especially because with the airsoft guns, I can just load up with 30 BBs so they have to change mags and it all correlates to a real weapon. Airsoft guns are roughly the same size, same weight and have the same operation so you can get people so far with that sort of stuff especially if you’re strapped and can’t get to a range, which is difficult in this country. FF: What’s your favourite piece of tactical kit to run? Big Phil: For real or for airsoft? Big Phil: For real it would be a minimi ‘cause like I say, it’s a great bit of kit – it gives you loads of fire power, with a normal stock it’s great in the shoulder and you can swing it around rooms and buildings. Airsoft wise? I love me little M4s, the KWA ones. For pistols, I like Glocks. FF: Is there anything you don’t like about airsoft? Big Phil: My only beef within airsoft is people not taking their hits when they realise they’ve been hit. You know, if you could come up with a marker system to say to someone ‘look you’ve definitely been hit’ I think that would be a good thing but everything else is great! FF: You’ve been all over the world and witnessed the boom of airsoft in America and Europe, what do you think would push airsoft in the UK? Big Phil: I think it would be more sites, I think a lot of people have tried to turn paintball venues into airsoft venues and it doesn’t work, they are totally different sports. Venues such as this (The Foundry) is a cracking little venue, you can utilise it in a lot of ways and I can do a lot of state and skills training here that will bring people’s airsoft skills along. FF: Talking of your airsoft training, do you run them a lot? Big Phil: We’re starting here and we’re bringing out a set of courses. Once you’ve done a set of 3 basic courses you’ll move on to intermediate and we’ll bring people up and patch them up so you sort of become a guru of patches and become an instructor. So we’re going to bring people up through the system so they understand marksmanship, movement, they understand reactions and effect of enemy fire and all that sort of stuff. We’ll teach them how soldiers were taught. FF: Thanks for taking the time to speak to me Phil! It’s been a pleasure! Hardwick, K. (2017). Interview with Big Phil Campion. Airsoft Action. 77 (August) 64-65.